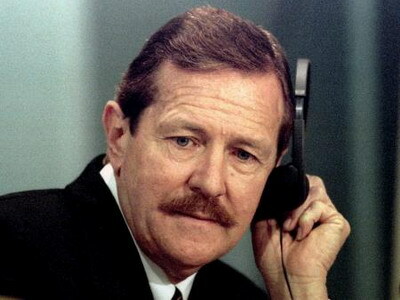 South African right-wing politician Clive Derby-Lewis, who tried to trigger a race-war in the dying days of apartheid with the assassination of communist party leader Chris Hani, died on Thursday, his lawyer said. Sentenced to life behind bars for masterminding the 1993 shooting of Hani, Derby-Lewis was freed on medical parole last year after being diagnosed with cancer. His lawyer, Julian Knight, said he died of “surgical complications” in a Pretoria hospital. He was 80 years old. The murder of Hani, the charismatic leader of the South African Communist Party (SAPC), triggered nationwide riots and almost derailed the 1994 transition to multi-racial democracy after decades of white-minority apartheid rule. Polish immigrant Janusz Walus was convicted of actually pulling the trigger but Derby-Lewis was found guilty alongside him for providing the gun. The pair were initially sentenced to death, but that was commuted to life in prison when South Africa abolished the death penalty in 1995. Walus was freed on parole last year after spending more than 20 years behind bars. Apartheid death-squad leader Eugene de Kock, dubbed ‘Prime Evil’ for his role in the torture and murder of scores of black activists in the 1980s and early 1990s, was freed on parole last year after serving more than 20 years in prison.